How do you engage the general public to support your work? Creating a strong organization is an important feature to helping potential donors give to your organization. In a world of competing nonprofits, what sets you apart from the others? How well is your organization known? Do stakeholders understand the value of your organization? These and many other questions are on the hearts and minds of leaders in the world of nonprofits. Catalyst Enterprises International understands the challenges that these organizations face, especially in the current economic climate. However even in this climate, organizations that have a clear vision, effective leadership and an effective communication strategy and endure the challenges of today’s market and emerge even stronger to meet the needs of the communities they serve. What would happen to your organization, if you, your board, and your staff had clearly understood goals designed to achieve your vision and mission? To create and lead an organization that will maintain a competitive advantage during these turbulent times, many leaders will have to transform an organizational culture that was founded on yesterday’s paradigms and ideas. Attitudes and behaviors reflecting new and different social and organizational values will have to be adapted. For many people, learning to adjust to change is difficult and managing change will present even greater challenges. Organizational success will require leadership that is focused on positive results. What would your organization be able to accomplish if you had the following results? Many nonprofit organizations fail to maximize the potential contributions their boards can make to advance their missions. This results in frustrated board members as well as managers. It does not have to be this way. Successful organizations are those that have learned how to mobilize a board, how to define its role productively, and how to produce results everyone can point to with pride. A big part of the problem is a lack of clarity and agreement on the roles of the board. Whatever the issue – from a low performing board, to a power struggle between the board and Executive Director – we can help to clarify the situation and move the organization to problem resolution. Effective marketing and communications are essential to a nonprofit’s success. Often, however, nonprofits hesitate to spend time and resources marketing themselves. Also, in many organizations, communications functions – both internal and external – aren’t given sufficient attention. This approach can be costly in the long run. 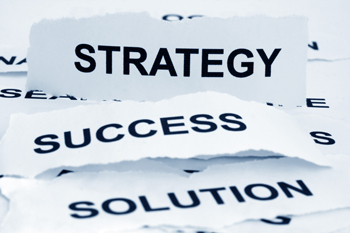 A marketing and communications plan is one of the best investments an organization can make. Ultimately, these activities strengthen the organization and support the advancement of its mission. Through marketing and communications activities, the nonprofit makes its stakeholders aware of what it does and the value of its work. When an organization’s constituents are fully aware of its achievements and value, they are more likely to support it – financially, politically, and programmatically. Catalyst Enterprises International helps develop and implement practical, customized marketing and communications plans that effectively promote the nonprofit with all of its constituents, supporting the advancement of its mission. We emphasize the importance of two-way communication channels. These help the nonprofit assess its effectiveness – overall, and specifically, with respect to its marketing and communications functions. Nonprofits can use this information to continually improve their services and enhance their value. For many nonprofit leaders, it can be difficult to step back from day-to-day tasks and identify specific assistance that might help them to develop the capacity to do their work more efficiently and effectively. This is particularly true in difficult economic times, such as the sector is now experiencing. However, in times like these, it is all the more important to build organizational capacity. Organizations with strong internal capacity are more likely to be sustainable and to better advance their missions. Catalyst Enterprises International offers a wide range of services and programs that are specifically designed to help nonprofits develop their internal capacity. That “the only constant is change” is truer than ever in the nonprofit ‘world. It is ironic, however, that while nonprofit organizations are focused on changing society, they often fear changing themselves. Whether it’s a recent change in executives, a contemplated merger, or a dramatically changing market that requires new ways of thinking, Catalyst Enterprises International can help the individuals in your nonprofit to adjust to and embrace change, using it to strengthen the organization. One of the biggest factors in making your organization or programs sustainable is the creation and implementation of a resource development (or sustainability) plan. Too often programs fail to plan properly for long-term financial stability or do not take advantage of all the resources at their disposal. While dealing with their day-to-day operations, agencies frequently find it difficult to plan for the future. No matter what your program’s current funding situation is, it is important to have an ongoing plan for resource development as part of your overall strategic and operational plans.